What's your favourite feature on Pokecharms? Discussion in 'Small Talk' started by Linkachu, Dec 5, 2010. So, yeah, random question. Out of the five six major features currently existing on Pokecharms (err... 5 active and one out of order), which is your favourite? Disclaimer: You can love it, but DO NOT post here asking when the TCM will be back up. If you do I will personally delete your post and/or warn you. No stupidness in my thread or Linkachu won't be a happy Raichu. Anyways, it's the forums for me. Always has been. But I do quite love the Games Wiki for giving me so much extra freedom with certain stuff. Well, the Game Wiki and PokeDex are nice, but to be honest, I usually use other sites for looking up PokeMon information :x I do follow the news on PokeCharms, because it's much simpler and often better then on the other sites. The Trainer Card was, like a lot of people, how I discovered PokeCharms in the first place. I loved making Trainer Cards, often very Sue because I was such a noob back then. A: Without the forums, there would be no Pokecharms, and I would be on some other website. C: I can look at the Pokemon's stats, what their names are, etc. D: I can found out what shinies look like, what level they evolve, stuff like that. I like the news 'cause that's how I learn about... stuff. I like the chatroom 'cause I can talk to people and get to know them better than on the forums. I like the TCM 'cause it helps me plan my teams for my RP characters. 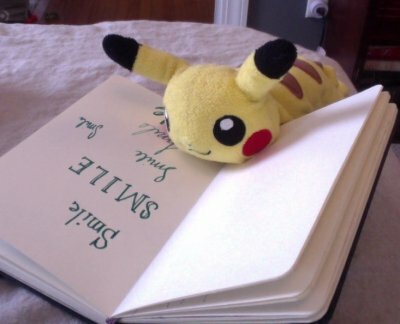 I like the Pokedex 'cause it's really easy to look things up quickly. Hmm, I dunno if it's really fair to give my opinion, but I guess that I'd probably vote for the Forums/Chat, since, ultimately, they're the part of the site I'm most satisfied with. The news, the Dex, the TCM, and to a lesser extent the Wiki, all require further development and work for me to really consider them satisfactory (to my own high standards of my own work) - but as far as I'm concerned, the forums are pretty solid. Even the look of them right now is quite to my satisfaction - although said look will be changing soonish - but I think I'll miss this set up the most when it does. The set up of the boards and the staff, though, I think is pretty much spot on. The only thing I'd change is the modifications we have available - something I intend to look into later in the month. Effectively, I could just sum it up as being quite satisfied with the community we've built up here. I look forward to seeing it continue to grow over the next year. I really love the forums and chat, to be completely honest. I've always been a sort of community-type person, and posting on the forums made me feel like I was contributing to the community that I've been a part of for so many years. It's also one of the more fun parts of the site in my opinion. Chat was a great way to get to know others of the community as well, and through it I've been able to meet countless people with differing backgrounds, personalities, talents, whatever. It's also a great way to pass time/distract yourself, and all the little inside jokes usually start out in the chatroom as well. I do use the Pokedex feature of the site as well, if only to figure out what kinds of Pokemon fit my characters, help out my friends in real life, or just find a particular sprite or something. Same goes with the Games Wiki, though because I don't have a game system anymore, I don't find these features particularly useful for me. ... though because I don't have a game system anymore, I don't find these features particularly useful for me. Forums/News. The Forums are a great place to meet sweet people, and I consider News to be sort of an extension of teh Forums because we all can still discuss there. Do I have to repeat myself again? XD They smashed my DS because I got a 70 for a six weeks average. But yeah, you can say that they try to confine me in a cage in the middle of Siberia or something. That's... err... abnormally extreme. And wasteful. And just downright insane. Honestly, it's the reason I keep coming back to Poke-charms, the Trainer Card Maker. It's how I found this site and is the only one of its kind. Well, that is to say, only one that doesn't make me afraid that I'll get a virus or Mal-ware from it.